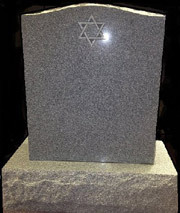 Monument Consultation - Sisskind Funeral Service, LLC. As a service to many families, we are available to help in the selection and design of monuments and memorializations. A monument is a personal and permanent tribute to the one who has died. Thoughtful care, and time should be taken before your decision is literally "carved in stone". We currently work through the Karl Lutz Monument Company in Syracuse. They are one of the finest companies that we know of ~ offering a superior product at a reasonable price.